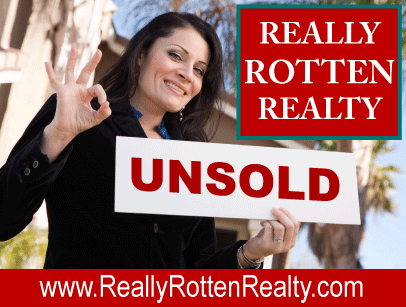 Really Rotten Realty® - Careers in Dallas, Texas Real Estate - Learn How To Get Paid MORE Than You're Worth. We Make Bad Real Estate Agents Look Good. Know That Not All Agents Are The Same. Learn The Secrets Of Being A Really Rotten Agent. The Really Rotten way of selling real estate works. To be Really Rotten, all you have to do is just get a listing and sit on it until it sells. Let time do all the selling for you. That's the Really Rotten way. Just stick that sign in the ground and focus all your efforts on getting the next sign in the ground. That's all there is to it. Can I be a Really Rotten part-time agent? Want to do real estate as a hobby, in your spare time? You may have what it takes to become a Really Rotten real estate agent. You don't have to quit your current job, or spend more than a few hours a week working with your clients or answering their calls. Just ignore them. They'll stop bothering you eventually. Why be devoted to a real estate career if you can just dabble with it as a hobby and still make money doing it? Most of the Really Rotten agents in our office are part-time agents. What's keeping you from being a part-time Really Rotten agent? Anyone can become a Really Rotten agent. If you breathe and can take a standardized multiple choice test to get your license, then you have what it takes to be a Really Rotten agent. You'll join a large crowd of agents looking to steal business away from less dishonest agents. Our Really Rotten motto is, "Ethics is something you work around and only the most crooked agents follow the straightest path to success." Thrown out of your old office for excessive ethics violations? You can wear them as a badge of honor in our agency. We want to learn from your success. Welcome to the Really Rotten Team. You just may work your way up to being the most Rotten of us all. Learn from the Really Rotten agent training program. Learn about the law and the Realtor's Code of Ethics and how to get around them. "If you want an answer to that question may I suggest that you seek expert opinion from someone licensed in that field." Yes, I work part-time, but it's quality that counts, not quantity." Learn how to effectively dodge phone calls and other forms of communication. Learn the secrets for overpromising and underdelivering. 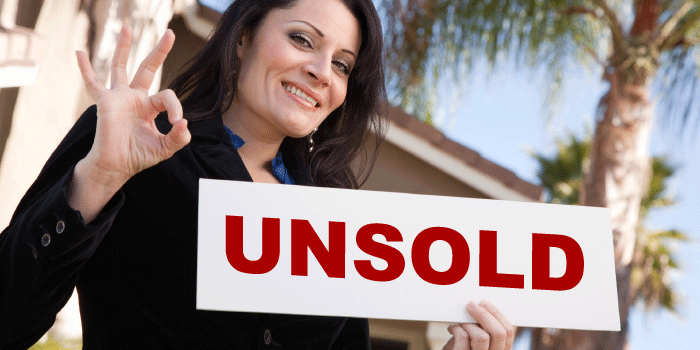 Find out just how much you can convincingly overprice a listing to win the client over. We'll teach you the Rotten Real Estate Sales System. All of our agents follow a system we designed in-house called the Rotten Real Estate Sales System. Sure it's a direct copy of someone else's patented system but we changed enough info in it to avoid a lawsuit. Join us and we'll make a Xerox copy for you too. Sell like only a rotten agent can, by using the same winning phrases that just roll of our tongues like poetry. Successfully complete our "Rotten System," and you'll write better MLS descriptions using phrases such as "filled with nature, compete with attached greenhouse" rather than "termite-infested house showing signs of mold," or "fresh-air ventilated skylite" instead of fire-damanged roof. It's that unique view of the world that makes us successful. Hear what Really Rotten Agents say. "I started working here three months ago and already I've been with the company longer than 80% of all the other agents in our office. I've learned so many things like misrepresenting myself to the client, taking credit for listings that I didn't sell, using the Do-Not-Call list to prospect for new business and so much more that I'm not legally able to talk about at the moment."